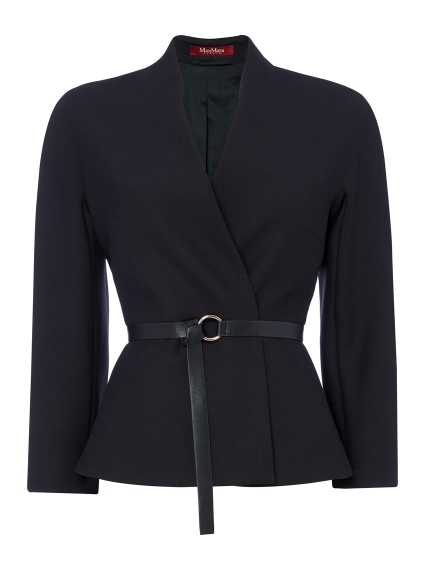 Effortlessly sophisticated, the Nembo Belt Jacket from Max Mara Studio will instantly enrich your professional line-ups. Elevated by a self-tie belt detail, the fully-lined design is made complete with a flared hem for added definition. Ideal with the coordinating Gesso Dress.